You are here: Home / Sellers / Ready, Set, Stage Your Home! 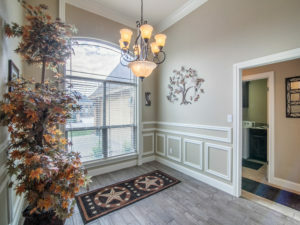 After thinking it over, you’ve made the decision to sell your Abilene home. You’ve found your Realtor, things are progressing, and now you’re prepping your home to make it tour-ready. 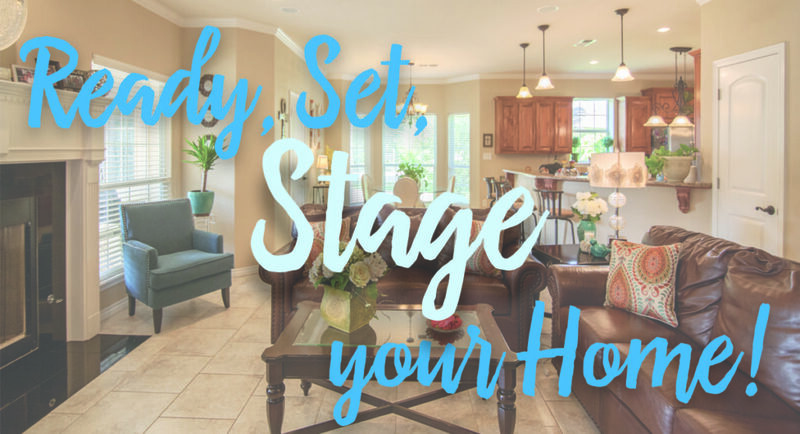 Then the question pops in your mind – how should you stage your home? Is it more than just cleaning up the kitchen counters and picking up the toys off the living room floor? Here are some tips to help you stage your home to sell! There’s tidying up, and then there’s de-cluttering. Having all your files neatly stacked on a desk and trinkets you’ve collected lined up on a shelf is tidy, but less is more for staging. With less clutter in each room, it’ll be easier for people to envision your home becoming theirs. Dark rooms don’t give as much life as lit rooms. 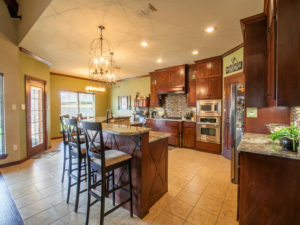 When it comes to Abilene real estate photography, the quality of the photos diminishes when the rooms aren’t lit well enough. Turn on the lights, open the blinds, or push the curtains aside to let natural light in. It’ll make the home feel more cozy and welcoming. A large home can easily look smaller and compact depending on how crowded everything is in the room. Just as it was suggested for de-cluttering, store away some items to make the room appear larger. Even rearranging furniture can make a room feel more spacious. When people take a tour of your home, they want to imagine themselves living there. To help them picture their family dining together and enjoying a movie night on the couch, you may need to put away personal items to help potential buyers. Family photos and your daughter’s kindergarten finger painting are always wonderful, but to help sell your home it may be best to set those aside temporarily. Color schemes in different rooms can be very eye pleasing to potential buyers. For example, having blue kitchen towels and bowls in a light gray kitchen could improve value. Or red vases and candles in a tan living room may make buyers remember your home all the more. Small things like accent colors can make a difference. The way you stage your home can help buyers visualize if this is their new place to call home. Little things such as opening curtains or de-cluttering can make a big difference. 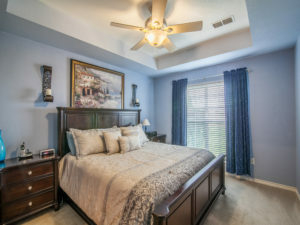 If you have other questions about staging your home, be sure to ask Stovall Realtors; we will be more than willing to help.